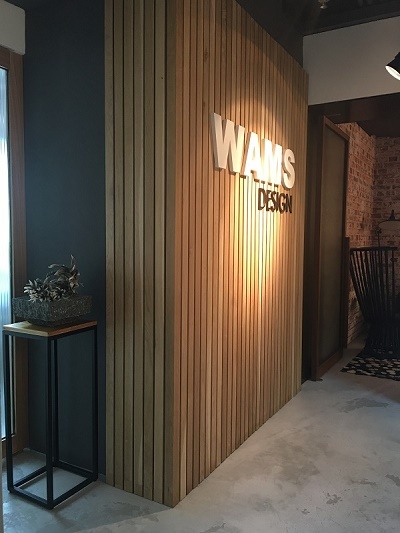 Company Profile – Wams Design Ltd.
Wams Design Ltd, established in 1999. With unswerving belief in esthetics and rich experience, we provide our customers high quality interior design. Beginning with a small company in Hong Kong, we now develop to a dream design workshop encompassing Hong Kong and Mainland China. We promise to give creative and style design with our unique insight. During this decade, we take part in various projects, including residence, showflats, offices, commercials, club houses, restaurants and hotels , etc. Our head-quarter is located in Hong Kong .In order to facilitate the business in Mainland China, we also have offices there. As we are strict with every project and to provide our customers high quality services and professional advice, the design procedure is all responsible in Hong Kong. Our design director, Wanson, acknowledge the importance of customers-orientated, especially in this populated city. The gross area of property is relatively small, therefore, much more efforts needs to be put in design. Comfortably is the main criterion. With thorough analysis, use of the combination of light, colour and house furnish to achieve extensity and take a balance between extensity, esthetics and other factors. We also provide our customers a functional environment with our creative innovations by making use of every space and corner and thus design a warm, cozy and comfortable environment. Menial Design is not simple, instead, is a higher level of taste and style. To be a design company, we reject the commercial and formulated way in design, we hope every work can retain its uniqueness, perfectly suits the needs of our customers and provide them a comfortable and tasteful environment. We take every work seriously. With initial stage of communicating with the customers, understand the specific needs of them, examine the real dimension and turn it into a practical design. To ensure a high quality and work best to satisfy our customers, we take every detail seriously, from materials and furniture selection to projects management. We are experienced design team, continuing seeking improvement these yeas. Our team has participated in different international design competition and was selected to final-ten-teams. Through these competitions, we can enrich our creation and innovations from all over the world. In order to get the latest and the most modern innovation, we visit different countries in order to enrich ourselves and provide our customers more high quality works. We are professional design team and we have organizational structure. All designers were professional trained. We have communication department providing professional consultation and follow-up service, making benefits to the customers and our company. © 2019 Wams Design Ltd. All Rights Reserved.